Sales and marketing alignment is a key element for a company’s growth, yet it is one of the most common challenges. Bridging the gap between the two and embracing sales enablement is critical to understanding what leads need to become customers and how to improve conversions. By creating that connection between marketing and sales, you will be able to fully understand the buyer’s journey, have a clear view of your marketing ROI, and also whether your marketing team is providing prospects with the right information to get them ready for sales. It’s vital that marketers such as ourselves set up our sales teams for success, and also that the sales team is providing marketers with the best information. 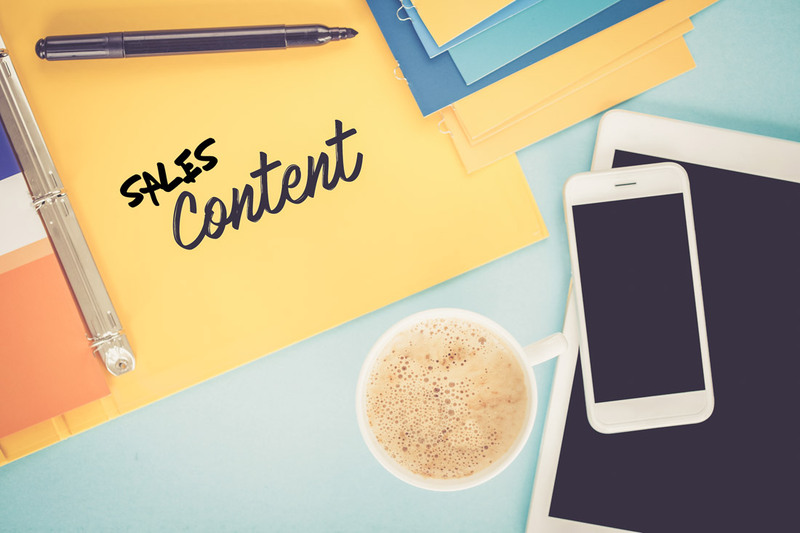 As content marketing continues to grow, and marketing departments continue to allocate more of their budgets into it, it’s important that we educate our sales teams on the value it provides to them. The reason for this is key. Your sales team has a wealth of information that they can pass down to the marketing team. Since they are the ones who are actually talking to the prospects, they can dig deep into common questions they are asking, problems they face daily, and other issues that your company can solve. Marketing and sales alignment is a critical in being able to pass this information to marketing, so they can create amazing content, blogs, whitepapers, infographics etc. with solutions to your persona’s common pain points. In this infographic by Salesforce, you will discover why your sales team should invest more time into understanding the value of content marketing. You will learn about the key statistics behind the value of content marketing, how it applies to the sales funnel, and why it is important for your sales team to share this content. 11.4 pieces of content are read by consumers before making a purchases. B2B marketers say sales lead quality is the most important metric. 70% of consumers prefer getting to know a company via articles over ads. 88% of companies documented content marketing as a part of an effective strategy.